Goodwood Racecourse is located at Chichester, England. 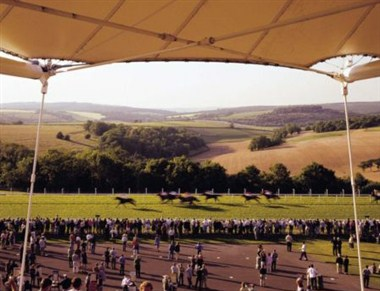 Set right on top of the Sussex Downs, you couldn't think of a more inspiring place to hold a meeting or special celebration than Goodwood Racecourse. The Business Club is a brand new concept from Goodwood Racecourse designed to enable businesses unrivalled networking and entertaining opportunities in a world-class environment, yet at a competitive rate. 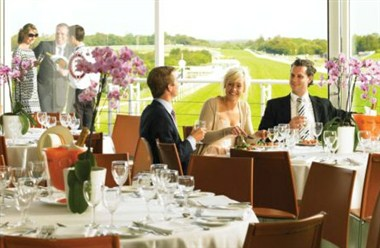 There are fewer more impressive places to hire for your private or business event than the pavilions at Goodwood Racecourse. On a non-race day we are licensed to hold civil ceremonies and partnerships in the Charlton Suite, Sussex Suite and Duke of Richmond’s Box. We can cater for parties from 50 guests in the Duke of Richmond’s box and up to 190 in the Charlton Suites.